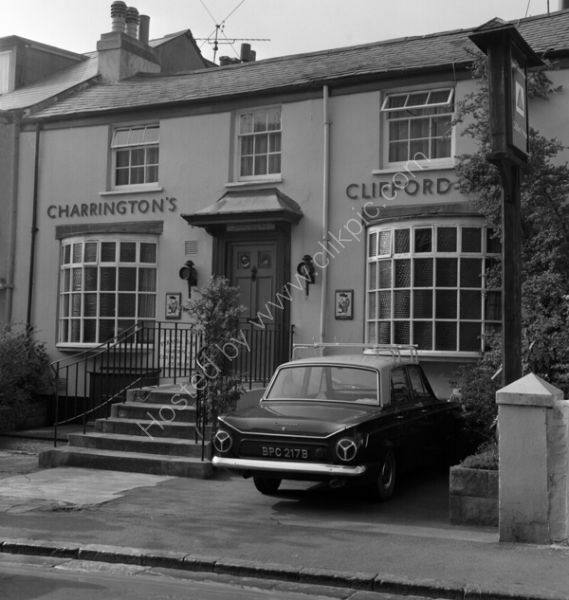 The Clifford Arms in Fore Street, Shaldon, Teignmouth around 1974. The car outside (Mark one Cortina?) is registered as BPC 217B so was first registered in 1964. For commercial use of this photograph please visit www.alamy.com and search for E8BDDD but for a one off print, please see below.